If you have been with me for awhile, you have probably gathered that this IS A BIG WEEK FOR ME. In fall of 1979, Sally Brewer, my mom, went into labor with me while Dallas was on. When I was age-appropriate (or the bad stuff would go over my head) my step mom and sisters would watch Dallas together doing our nails and drinking chocolate milkshakes. 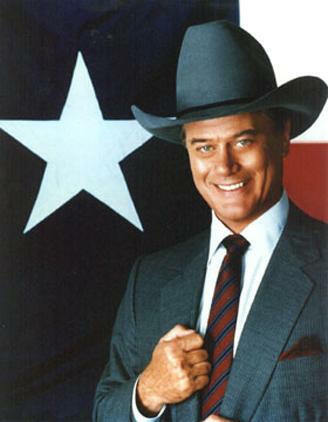 I rediscovered Dallas in all it's glory as an adult, and it basically made my life better in all ways. My nearest, dearest, and gayest are obsessed with it too and we are all barely holding on until tomorrow night. Last night, to emotionally and mentally prepare for the big day, we watched some classic episodes of the original series and proceeded to completely freak out as the reality of the situation sunk in. We have the dvds thanks to my loving/enabling husband, and yes, yes that IS me holding The Good Book of Dallas (an episode-by-episode guide) in one hand and in the other hand Larry Hagman's autobiography. Uh huh. Those are my girls who are equally as thrilled and we will be live Tweeting with me during the premiere on TNT tomorrow night. Please join us. Please don't judge us. Before you scoff at our adoration, take a gander at Sue Ellen in a caftan in a sanitarium and try to turn away. Just try. 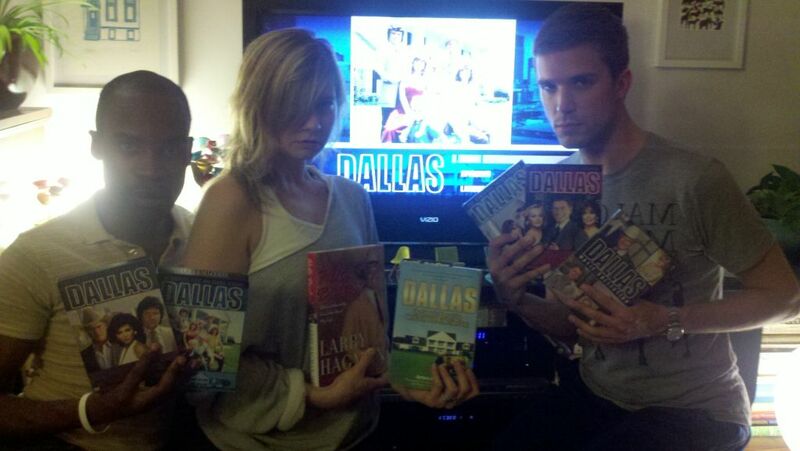 Like Bill Haverchuck, I would lock myself in a bedroom of a party if Dallas was airing. If you get this reference in any way, I love you more than Sue Ellen loves the bottle.